Located off Bayshore Fwy. 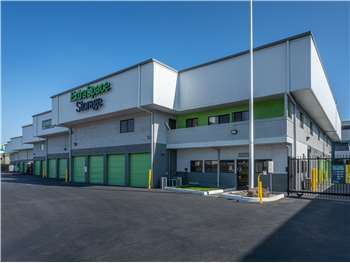 on Laurelwood Rd., Extra Space Storage is accessible for residents of Santa Clara, North San Jose, and Agnew. Locals will recognize our facility southeast of Biltmore Hotel and Suites Santa Clara between Montague Expy. and Thomas Rd. We're also conveniently located for residents of nearby apartments, such as John Burns Apartments, River Terrace, America Suite, and 550 Moreland Apartments. This location is keep clean & neat. We have had a positive experience with the staff at this location and have rented multiple times (short & long term) for our business. The faclity in Santa Clara Ca is very nice. It has easy access and is very clean. The facility in Las Vegas on Las Vegas Blvd. Is quite the opposite. The unit where our storage is housed smells like urine. This is due to the homeless population that seem to have taken up residence in some of the units. I'm a little concerned about security there. So far nothing has happened . Hopefully nothing does. Overall I like Extra Space Storage and will continue to do business with them. Hopefully this will help clean up Vegas? 12-7-2012 Alex took good care of us. Efficient & Friendly! Quite happy that I found Extra Space Storage! Only the forced Insurance & the size of the upper floor door opening was slightly disappointing. I've rented at many storage facilities & hands down this has been the most friendly & best place I have rented from. The storage facility is clean & well maintained. The staff here is amazing & always have a great attitude. I really feel welcome whenever I need something taken care of at the front office. Also, the prices are very competitive to other facilities in the area. I highly recommend this place for anyone looking to store their belongings. Overall a really good storage facility. I've used 2 other competitors and I always like the service I get with Extra Space. Friendly, efficient, reasonable is how I'd summarize. Site is on frontage road off Highway 101 near Biltmore hotel. We are neighbors with Hacker Dojo. Drive southeast on Lafayette St. Turn right onto Norman Ave. Turn left onto Thomas Rd. Turn right onto Laurelwood Rd. Our facility will be immediately on your right. Drive northwest on Lafayette St. Pass Central Expy and continue north. Turn left onto Laurelwood Rd. Our facility will be on your right just after Thomas Rd. Drive west on Bayshore Fwy. Take Exit 392. Keep right and merge onto Montague Expy. Turn right onto Laurelwood Rd. Our facility will be on your left just before Thomas Rd. Drive east on Bayshore Fwy. Take Exit 392. Keep left and merge onto Montague Expy. Turn right onto Laurelwood Rd. Our facility will be on your left just before Thomas Rd.